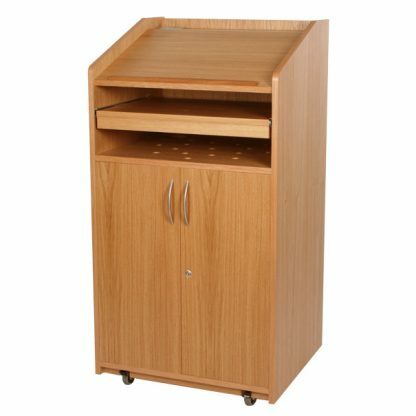 A high quality, single width AV lectern with a 15U ventilated cupboard and a sliding keyboard shelf. Angled desk top with cable management and fixed front panel. Height 1200mm (excluding wheels) top 650mm x 550mm.